With only a few accounting software options on the market, it seems healthcare and special care industry start-ups under NDIS have only two options to choose between: MYOB or XERO. However, NDIS-related services can be complicated, and the two systems are not necessarily equal in terms of their benefit to users. Given your limited budget as a start-up business, you might want to learn more about these two software options before making your choice. Here is Tailored Accounts’ take in the issue. Comparing MYOB with XERO is like ranking Taxi Services against Uber. XERO creates a community of accountants, bookkeepers, application developers, and business owners, where ideas are exchangeable. It acts as a platform that can facilitate communication between those in the industry. MYOB is trying to follow in their footsteps; however, XERO is still the market leader for three reasons. 1. Data Security - You will never lose or use the wrong data in Xero as your data is completely on your cloud. No more data corruption due to failed backup process. XERO will be your secured system, with 2-step authentication to protect your confidential business and customers data. 2. Xero's Auto-Updates - Xero constantly updates a lot of functions including tax tables by itself. You would not be able to enjoy that feature in MYOB. Imagine how much important information you might have missed. 3. Integrated marketplace for ideas and innovation - This is partly because, similarly to Uber drivers, the accountants at XERO are actually working at their own initiative. It might be due to XERO’s willingness to embrace innovation and new technologies such as artificial intelligence (AI). In a nutshell, XERO is taking all the right steps considering the direction of many businesses. The future of the automobile industry, for instance, may well be in the development of self-driving vehicles. 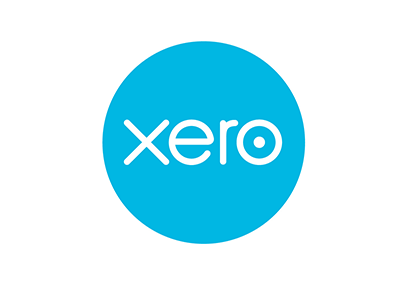 XERO a good fit for your NDIS start-up. It requires far less cost to run at maximised capacity, as the app is inexpensive to integrate into your business model. It also does not require much training to master, as you could easily manage your own books after only an estimated 6 to 8 hours of training. If you are searching for a system to use, think carefully before deciding which option best suits your business design. Or, if you are still uncertain, pop into Tailored Accounts and one of our specialist accountants will advise you on what the right choice of software could bring to your start-ups. New Financial Year: It might be time to change to Xero - But how much will I save? (Audio) How much attention do you pay to the biggest item in your books? (Audio) Cloud accounting is the past, so what will be the future? Tailored Accounts © All rights reserved.